Standard Battery – Non removal 4000 mAh High Destiny Li-Polymer Battery. 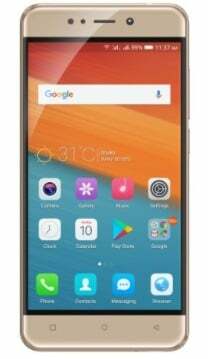 Walton Primo S6 smartphone was launched in October 2017. This device comes with a 5.5 inches IPS LCD display with a resolution of 1080 pixels by 1920 pixels. Primo S6 powered by 1.4 GHz Octa Core 64 bit processor and it comes with a 3 gigs of RAM. This device packs 32 gigs of internal memory that can be increase 128 GB via microSD card. As far as this device camera is pretty. Walton use BSI technology on both front and rear camera in this device, the Walton primo s6 packs a 13 MP rear camera and 16 MP front camera for selfie. This device run Android 7.0 Nougat and is a powered by removable Li-ion 2000 mAh battery. This device is available in Bangladeshi mobile market and Primo S6 Price in Bangladesh 15,990/- BDT.